It’s an 8-incher with “HD” screen resolution (we’re guessing that means 1,280×800), a 5 MP rear camera, a 2 MP selfie shooter, and 16GB of expandable internal storage. The chipset chosen is Qualcomm’s Snapdragon 400, in this iteration coming with a 1.6 GHz quad-core CPU. A 4,060 mAh battery keeps things running, and the software employed by the AT&T Trek HD is Android 5.0 Lollipop, with Google Now Launcher preinstalled. 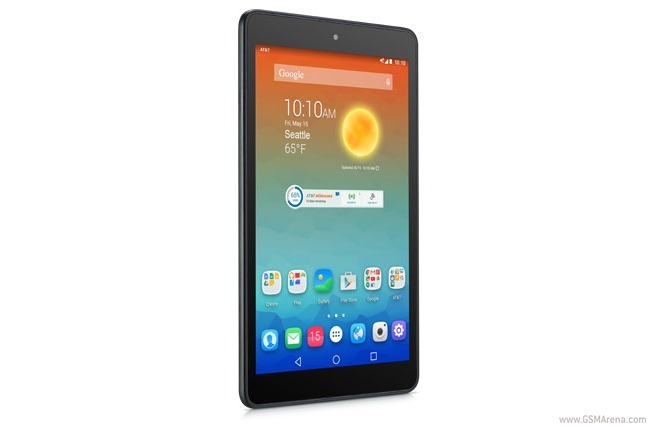 The tablet is priced at $49.99 with a new two-year contract, or $10 per month for 20 months if you use AT&T’s tablet installment plan.